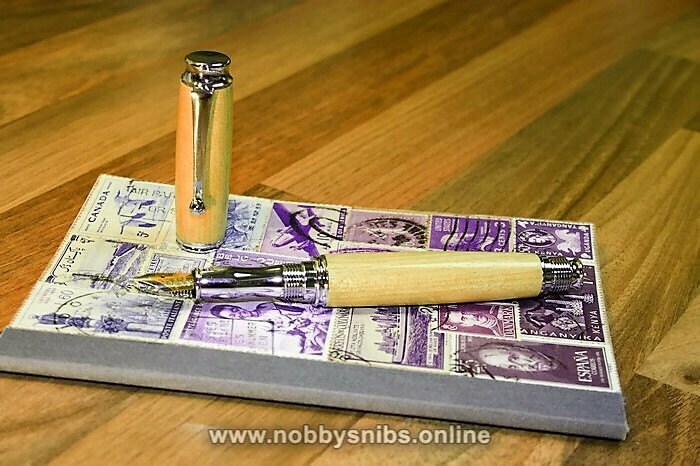 Handmade Wooden 'Posted' Fountain Pen in Yellowheart wood. 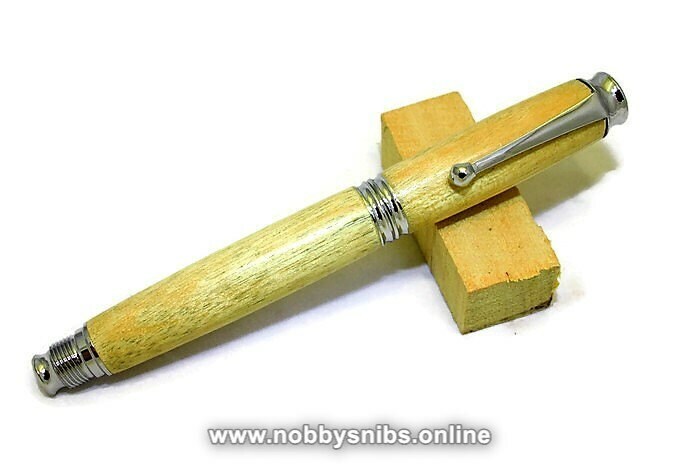 - Handmade fountain pen made from a solid piece of Yellowheart wood. 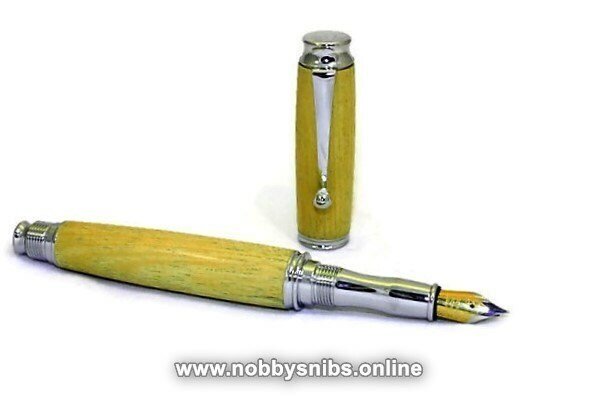 - Features a medium/firm German made nib. - Accepts small 'International' ink cartridges, or a refillable piston-style ink pump. - This pen comes with five ink cartridges in either blue or black as well as an ink pump. 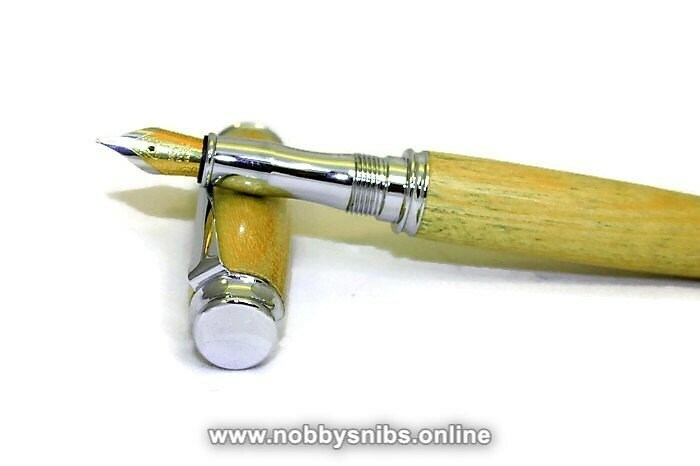 - The pen will come in a gift box along with guidance on use and care. 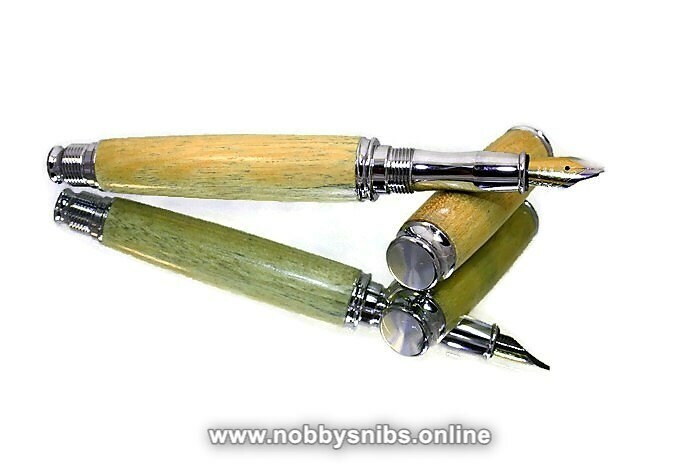 - overseas orders are generally delivered within 7-10 working days after postage, but can sometimes take a little longer.